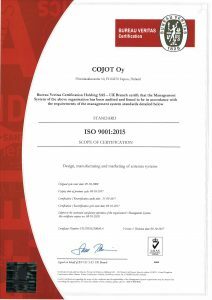 COJOT is ISO 9001:2015 certified. Our long standing partner network acts in accordance with international standards like ISO 9001 and 14001. To view our latest certificate, click here.